Do you have gaps, chips, stains or mishapen teeth that make you hide your smile? If so, veneers in Sun City West might be able to help bring your smile out of hiding. With veneers, we will be able to correct imperfections on your teeth to give you a brighter, more confident smile. Veneers are tooth-colored, thin, custom-made shells created to cover the front of your teeth. In preparation for your veneers, Dr. Harmon will create a model of your teeth that will be used by our in-office lab to create your custom veneers. 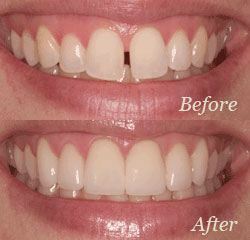 After your veneers have been placed, you will see that they look like your natural teeth. Though veneers are stain resistant, your dentist might recommend you avoid coffee, tea, red wine and tobacco to keep your smile bright. Veneers in Sun City West have never been easier or more convenient! Copyright © 2019 the Village Dental Center.